When most people think of 'smartphones', or even just 'phones', they picture sexily-advertised shiny high-tech in High Street manufacturer/carrier/network stores. The focus is on social activities, on imaging, on music, and so on. 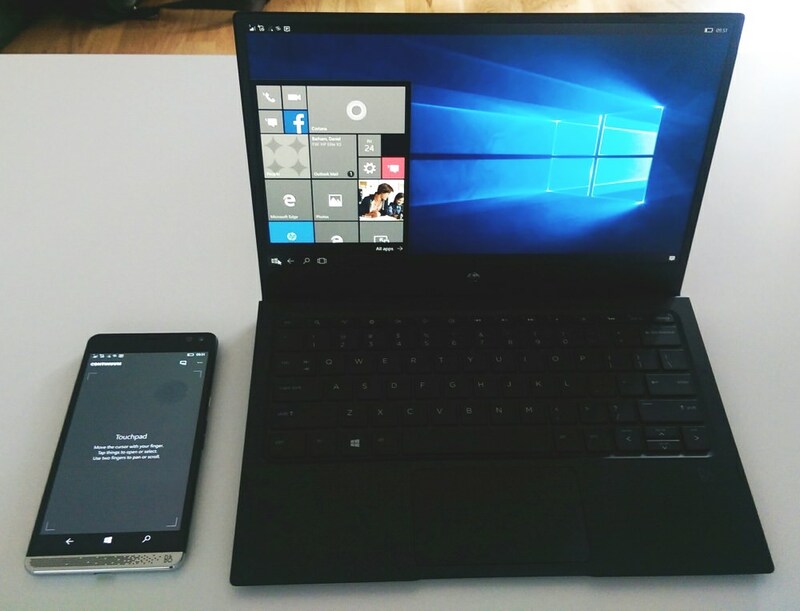 Even though it can handle most of that, the HP Elite X3 is a totally different beast - it's a three-in-one (hence the name), transforming mobile computer for professionals and the companies for which they work. And no, this isn't me drinking the HP marketing kool-aid. Well perhaps a little, since we just don't know how much the Elite X3 system will take off in the real world, so any future success is conjectured at this point. The interesting point for me though, and probably for you as a Windows 10 Mobile enthusiast and reader of AAWP, is the overlap between the two worlds mentioned above, and I'll be addressing that specifically in some of the review parts here. But we have to start with the X3's core raison d'être. Although it's tempting to compare the Elite X3, blow for blow, against other flagship smartphones, this isn't really what HP would like, since the real competition for the Elite X3 (system) is a professional-grade laptop. In other words, equipping a mobile staffer with laptop/smartphone/desktop computing facilities with greater flexibility than having to buy or carry all three separately. There's a huge potential elegance here, in knowing that the 'phone' in your pocket is also your main computer, adapting to different screens around you as needed. It's a vision that many of us have had for years, a smartphone tech nirvana, and with Microsoft Continuum and HP's hardware it has become a reality. There are caveats, of course. Although all the main Office and productivity applications scale onto the laptop form factor and then the large desktop monitor, not all Windows 10 Mobile titles do the same, while legacy Win32 company applications and heavyweights like PhotoShop, Publisher, Access (etc.) can't run on the ARM-based phone at all. The latter are handled on Continuum screens via a virtualised remote solution, with HP Workspace (I'll come to this in part 2 of the review) being the way this will work for small and medium-sized businesses. For a business, £1000 or thereabouts to kit a mobile user with all the gear they need and with roughly the same for IT services and support per year, isn't out of the question. After all, a traditional high end smartphone plus business-quality laptop is quite a bit more and then you have to factor in some time from an ad-hoc or permanent IT department/person and their salaries. So the costs aren't at all outrageous in this environment. As an AAWP reader, it's possible that you're researching road warrior solutions for your company, but more likely you're eyeing up the Elite X3 as a high end phablet that has some really cool productivity tricks up its sleeve. And providing you're of the opinion that if something's good enough then it's worth paying for (remember to add VAT to the prices above as an individual!) then you may well be pleasantly surprised by the X3 and its accessories. 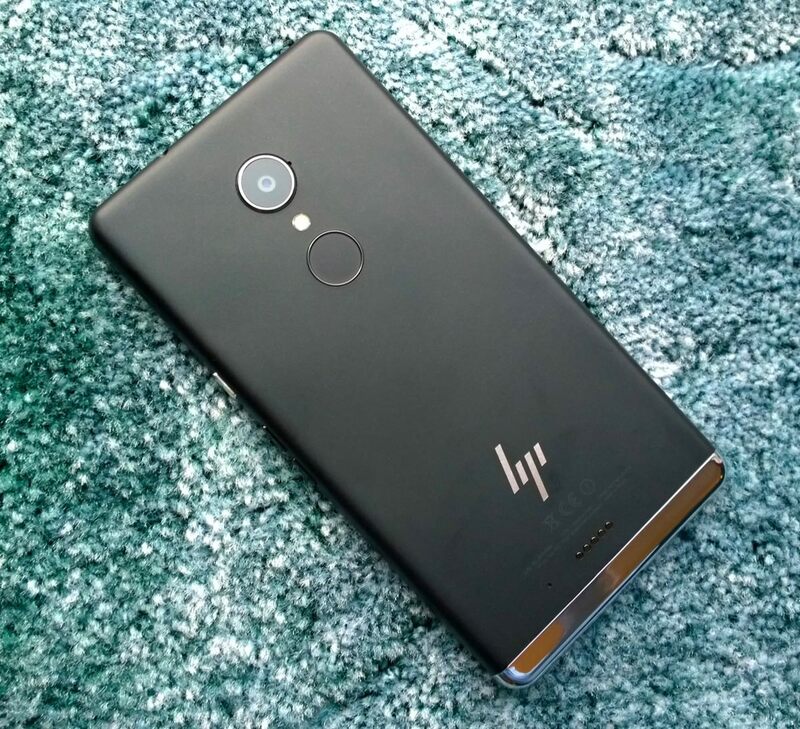 Much has been said about Microsoft producing a 'transformative' or 'paradigm-shifting' Surface Phone in 2017, but it occurs to me that HP might well have stolen some of that thunder, since the X3 is many of the things that we'd been hoping for in such a Microsoft first party device. 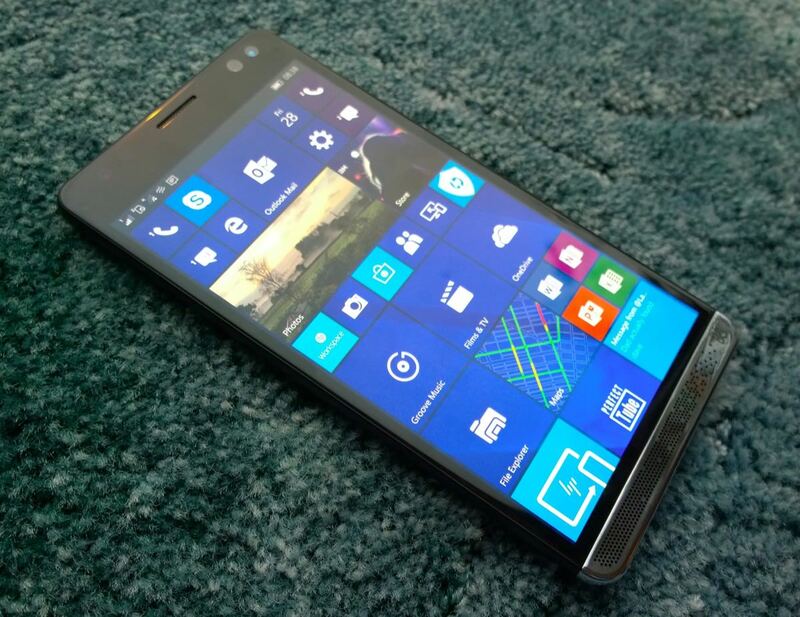 It's high end, it changes the way you think about your 'phone', and it runs Windows 10. 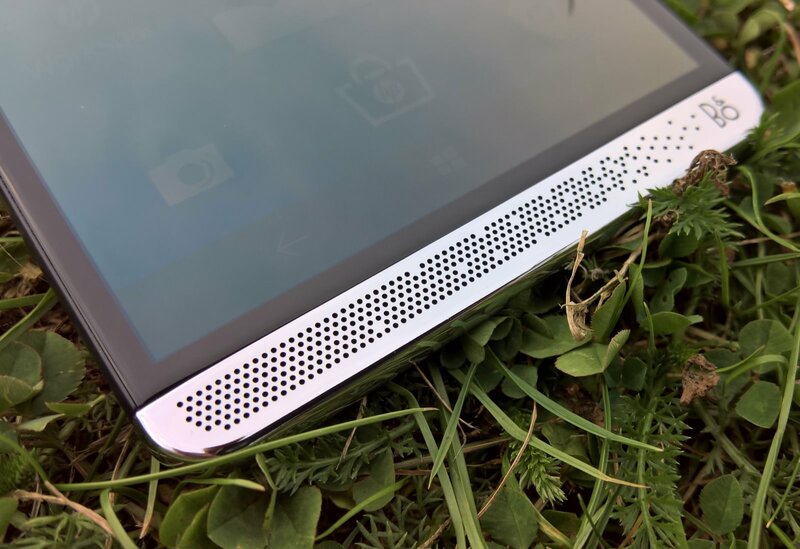 Given this week's Microsoft New York event and the announcement of the 'Creator's Update' and various extra Surface accessories, I wouldn't be surprised if a 'Surface Phone' also incorporated a stylus, but in other respects HP's Elite X3 has achieved quite a bit of what anyone might have hoped. Nokia started the trend for 'branded' components, of course, with Carl ZEISS for their camera optics, but that was a proper collaboration, as we saw in our tours around the Carl ZEISS factory. However, in recent years we've seen Huawei slap a Leica logo on, Alcatel use JBL and here HP putting on B&O branding for the front-mounted stereo speakers, one of which is behind the stylised chrome strip and one behind the earpiece slot. The latter isn't quite as loud or as high fidelity, but the balance is good enough to present a decent stereo image when playing back media with a stereo soundtrack, even if the overall volume and quality leaves something to be desired. Power, volume-up and volume-down buttons on the right are responsive, sprung just right and with very little 'wobble'. On the left side is the combined microSD/nano-SIM tray, accessed by getting a fingernail underneath a slight lip and then levering out. I much prefer this to the usual "find the SIM tray tool, no wait, we lost it a year ago, has anyone got a thin paper clip handy?" scenario. 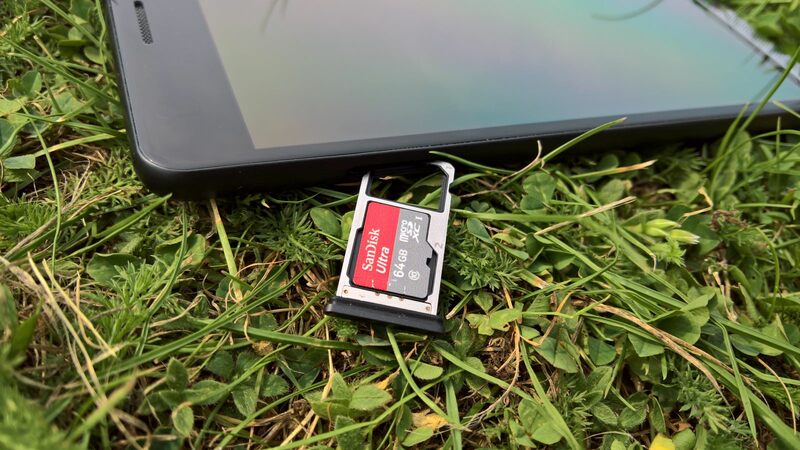 I've been testing the X3 with a 64GB card (in addition to the 64GB internal storage, microSD support goes up to, in theory, 2TB) plus my main nano-SIM, but travellers might also want to think about just using the internal storage (which is, let's face it, ample) and using that microSD bay for a second nano-SIM - this is not only supported but is encouraged, with prominent '1's and '2's where appropriate in the interface, indicating controls and functions pertaining to SIM 1 and SIM 2. Up top there's a neatly moulded 3.5mm headphone jack, something that's not always a given as smartphones head into 2017, while at the very bottom is the USB Type C port, compatible with Qualcomm's Quickcharge 3.0 system, though it's backwards compatible with 2.0 and regular 3A/5V charging, as you'd expect. This works well together with the sealed 4150mAh battery, larger than almost anything else on the market, and meaning that it's almost impossible to drain the Elite X3's battery in a day - and when you do, it'll be up at 70% charge or so in less than an hour when plugged into a Quickcharge 3.0 charger. Such as the Desk Dock or a third party offering - the charger supplied with the bare X3 is 'only' Quickcharge 2.0, though the difference is fairly minimal, so don't lose too much sleep over this. On the back is the (currently only) 10MP camera, of which more in a future review part, though I'm rating it more highly with each firmware update - it's better than you'd expect for a device unashamedly aimed at the business sector, even if it's some way short of the current smartphone camera champion, the Lumia 950. The resolution should rise with new firmware, since the camera hardware is a 16MP sensor (my internals utility reports 4608x3456 pixels), as per the original specifications, even if no one can use this yet. Or perhaps HP wasn't happy with the detail or accuracy at the edge of frame with the higher resolution and so opted to use a smaller frame? We just don't know, though hopefully this will be cleared up as updates roll in and more tests are done. There is a camera bump, but it's less than 2mm and is very elegantly done with a ring of metal that also extends proud of the camera glass, for protection. Beneath the camera glass is a single LED flash, but it's fine for shooting objects and documents in dim meeting rooms, or for acting as an emergency torch (this, as usual, is built into Windows 10 Mobile's Action Center). Followed by the fingerprint scanner, which is 'always on', as in the best smartphones, so that just touching it with your registered fingerprint is enough to both authenticate and power up the screen, i.e. without having to press the side power button. The scanner is fast, though you don't really get to see the full speed since Windows 10 forces a 'Hello [yourname]' pop-up/animation, which takes a good second to appear and then disappear. Microsoft, can't we have an option to disable this cheery confirmation? Down near the bottom of the back are an inset HP logo and a row of five pogo pin contacts. These are designed to mate up with vertical market accessories that clamp onto the X3, using it as the computing powerhouse while the accessory scans codes or measures blood pressure or whatever. These are presumably in development and I haven't seen any examples yet, but the facility is unique to the X3 and may prove a clinching factor for a larger organisation looking for a host for sensors in the field. Summarising this section, the Elite X3, despite not being unibody metal like a lot of consumer champion phones, feels reassuring solid in the hand, a real tool rather than a delicate toy. It reminded me a lot (and not just because of the physical size) of the Nokia Lumia 1520, one of the original phablets in the mobile world. And, for anyone who has held the 1520, you'll recognise this as a compliment! Aside from the aforementioned 64GB of flash storage (of which 55GB is free out of the box), the chipset inside the Elite X3 is also very high end, a generation on from that in the Microsoft flagship, the Lumia 950 XL. Here there's a Qualcomm MSM8996 Snapdragon 820, quad-core (with two 2.15 GHz cores and two 1.6 GHz cores), plus an Adreno 530 GPU. That was cutting edge when the Elite X3 was announced all the way back in February and is still extremely respectable now, as we head into 2017. For once, a long delay on availability hasn't meant that the internals of a smartphone have ended up out of date by the time the device is available for review. Although there's 4GB of RAM on the X3's motherboard, not all of this can be used by the OS. 4GB is the usual addressable limit for a 32-bit operating system, but in this case part of this is pre-assigned, probably for GPU use, meaning that there's 3.5GB RAM free for Windows 10 Mobile and user applications. This is still more than enough for general smartphone use though and should be sufficient for full Continuum use with HP Workspace, though I'll come to performance metrics for this in the next review part. In use as a day to day phone, the X3 does feel faster than the Lumia devices - this wasn't always true, as I found with my time with the first retail X3 on 'Threshold' builds. Thankfully, the experience is much, much smoother now, and the review X3 is already on W10M build 10.0.14393.321, i.e. up with other production devices and likely to advance with them. 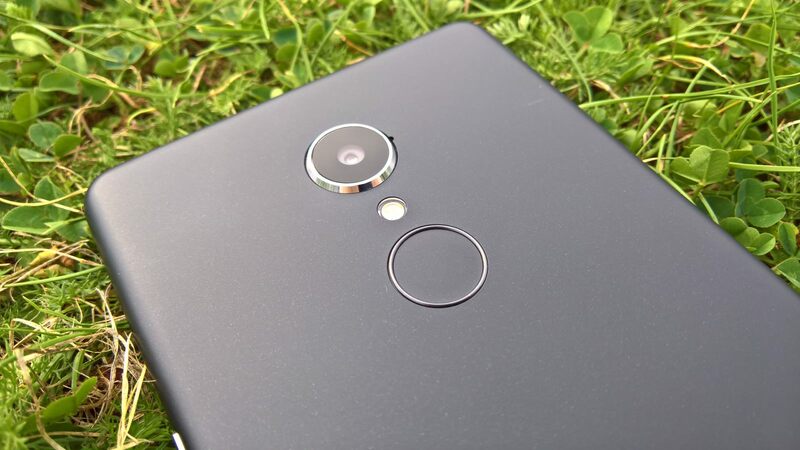 It's tough to measure how much faster this is than, say, the Lumia 950 XL, but a) I'll have a go in part 2 of this review, and b) the comparison is arguably moot anyway since this device is aimed at a largely different market. Extra sensors in the Elite X3 include the usual accelerometer, compass and magnetometer, plus gyrometer, altimeter, and barometer. It's the 'full set', as they say, though most of these will work with third party software for full effect - out of the box, the only real benefit of these is Windows 10 Maps. A 6" QHD AMOLED screen is always going to look great and the Elite X3's doesn't disappoint. In almost all light conditions it's vibrant, deep-coloured and gorgeous. Although the screen's large, the pixels-per-inch stat comes out at just under 500, which is still very high indeed. To be fair, as with all AMOLED these days, the pixels are in a pentile configuration and if you bring the X3 display up to the eyes and you look very closely you can just about making out the pixel pattern (see the close-up below). But in real world use, this is a stunning display most of the time. 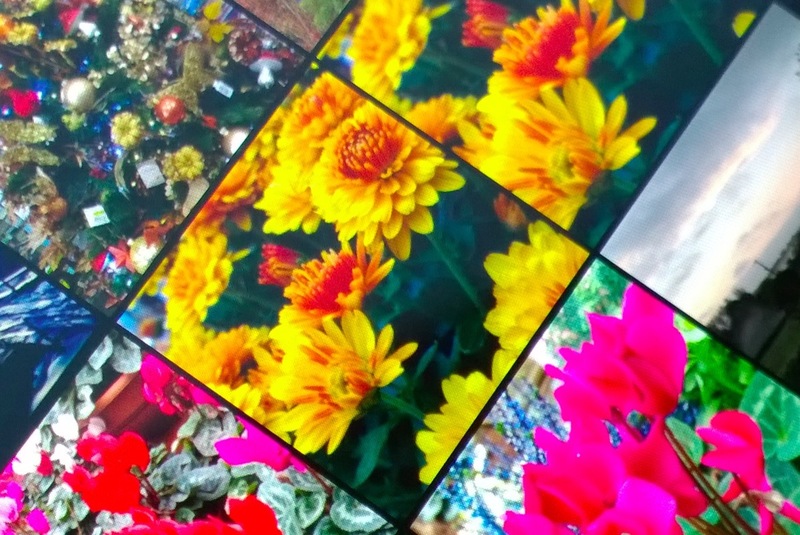 The one caveat is outdoors in the sun - while contrast here is generally very good, there don't seem to be the same polarisers and anti-reflection coatings as on, for example, the Microsoft Lumias, though you have to a) be outdoors and b) comparing directly with a Lumia 950 XL or similar, in order to notice any difference. Simply ramping up the (adaptive) display brightness in Settings proves easily sufficient for most mobile use cases and, let's face it, there's so much battery power to spare that you can afford to play fast and loose with brightness. Viewing angles are insanely good, as we've come to expect from modern AMOLED panels - the content seems 'painted' on the screen's surface and always impresses. Windows 10 Mobile, whatever its other faults, is an incredibly pretty OS (in my opinion), at least in dark themed form on an AMOLED display. Whether browsing through Photos or reorganising your OneDrive, the deep blacks and fine fonts really stand out. One thing that I missed, coming from the Microsoft (and Nokia) Lumias was a display settings panel for adjusting the vividness of colour rendering - maybe this will pop up in a future HP update - we've already seen Settings gain the familiar 'Extras' section in a recent update for the X3, so I imagine that there are other entries that will slot in here in the future. Given the way Microsoft has been scaling back its distribution and support network for the Lumia range, it's refreshing to have an industry heavyweight like HP bring a flagship to Windows 10 Mobile that's available officially (and supported) in 51 countries around the world. 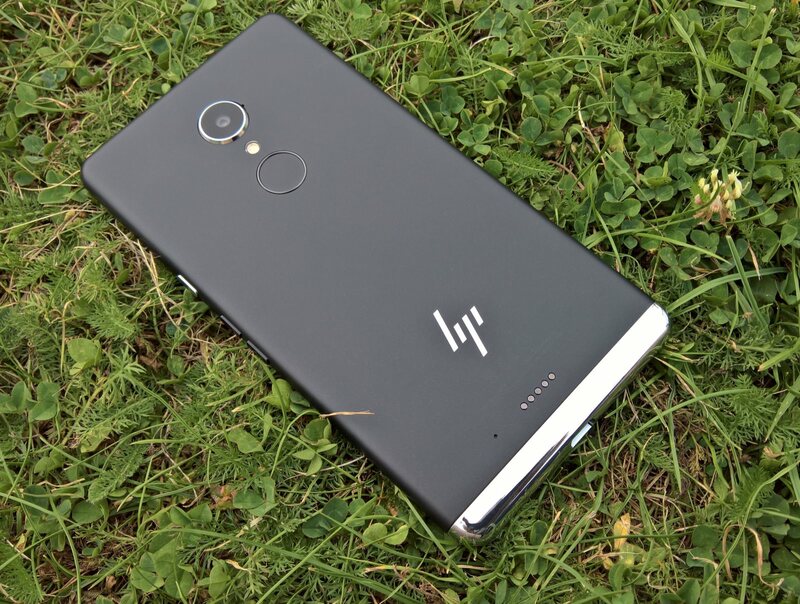 Consumers may be happy getting a cheap phone shipped in from China and with limited support, but in the business world that HP's aiming the X3 at, you've got to have repair facilities locally, to have help on hand, to get hands-on demos from sales staff, and so on. HP is well placed to achieve all of this and they seem to be motivated and committed so far. In part 2 of this detailed Elite X3 review, I'm going to be covering its biggest Unique Selling Point: the Display Dock, Continuum and the whole 3-in-one system, and then part 3 with testing of HP Workspace and thoughts on its use in business. Followed by part 4, in which I'll explore its imaging and multimedia capabilities. And so on, through comparisons with existing W10M hardware, productivity and including use of the much-awaited HP Lapdock.